Do you remember being a new quilter? Every step always seemed so difficult to master and once you mastered one, there was an entirely new process to learn. The best thing to do is to start by learning each step individually. That’s always the best way to get a thorough learning experience of the craft. Obviously this tutorial will be more for beginners, but there is always something to earn so the tutorial my be able to benefit even the experienced quilters. The tutorial is called “How to Bind a Quilt – Six Simple Steps” and it’s by Heirloom Creations. The speaker in the video jumps right into the process. It’s full of instruction and right down to the point. It’s definitely the best process to learn for beginners because this method of binding is very simple and gets the job done in the most straight forward way. 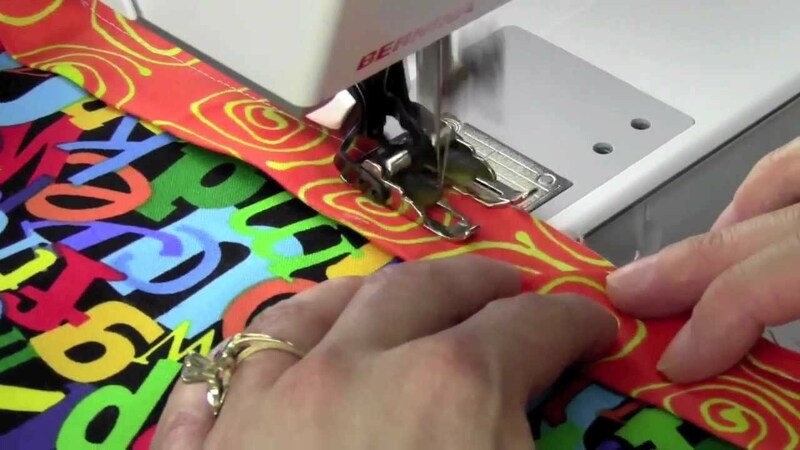 The speaker in the video starts with the first step, cutting the fabric. The steps are clearly marked to avoid ant confusion. To really practice this, you will need some fabric, a measuring board, scissors or a rotary cutter, and a sewing machine. Gather it all up and we are ready to start the tutorial! These six simple steps are a great start to learning how to bind a quilt and will get any new quilter in the right direction!